Burke and Stryker are agents with the CIA. More specifically, they are the two members of a small department known as Red Cell tasked with "thinking outside the box" in their analysis, "to find the possibilities that other analysts might overlook or dismiss". 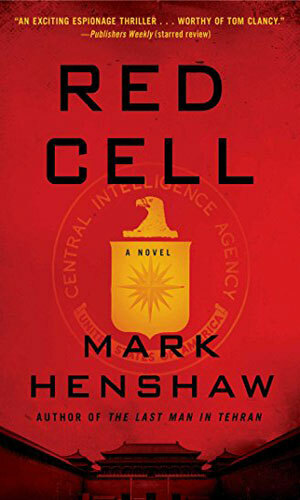 If a solution seems impossible to come up with or if the facts do not meld together to make sense, the personnel from Red Cell are called in to give it a look. Burke is Jonathan Burke, a seasoned veteran of the Agency who spent his time in the sandbox and has the war wounds, physical and mental, to prove it. As the senior member of the team, he had once had a fair number of people under his command but his persistent dourness and biting comments, coupled with his lack of empathy when a mistake would happen, drove all beneath him to seek transfers. When we first meet him, he was the Red Cell. As an analyst, his skills are exemplary; his people skills not so much. Stryker is Kyra Stryker, a relatively new member of the Agency but already battle-tested in her own way. Shortly after graduating from the Farm, Stryker was sent as a field operative to Venezuela and had been there a year learning the ropes and doing quite well at it. Then the Chief of Station, a political appointee rather than an experienced agent, made a monumentally bad decision and Stryker was shot in the line of duty and nearly emprisoned for life. Now back in the States and needing someplace to work, fearing a firing was in the works, she is shunted to Red Cell. Was it punishment or a last-minute reprieve; she was not sure. You would figure that mixing someone with such lousy ability to interact with others, like Burke, and someone with a earned chip on her shoulder and a desire to not be behind a desk would be a bad idea. Kathryn Cooke, new head of the CIA, though, had other opinions and it was she who forced the pairing. And she was right. Kyra Stryker needs a chance for redemption after a failed mission. She gets fellow Red Cell member Jonathan Burke to go along with her when a top CIA asset in China needs extraction before being arrested. The asset knows why a group of Chinese agents staged an attack in Taiwan which could start a war. 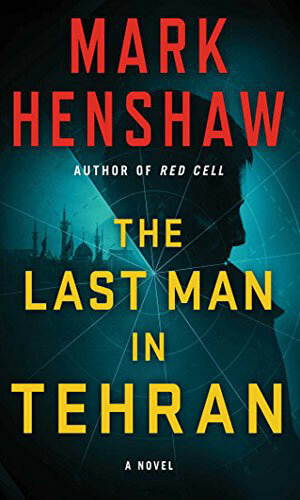 A dead Somali pirate found in a lifeboat is the first clue to a plot by the Iranians to build a nuclear weapon in Venezuela, away from watching eyes. Kyra Stryker and Jonathan Burke know they have to follow the leads but the South American country is a powder-keg ready to explode. The body of the man found floating in a lake outside Berlin was the Director of Russia’s Foundation for Advanced Nuclear Research. He was also an asset for the CIA. His death came just after the defection of an upper management officer of the Agency. That is the opening to a very messy mission thrown at Burke and Stryker. Oh, how I loved this series. The writing is superb. The pacing is fast and steady but not so speedy that important details get dropped. The plots are fantastic and timely and realistic. The characters are terrific and enjoyable to follow and a hoot to follow. 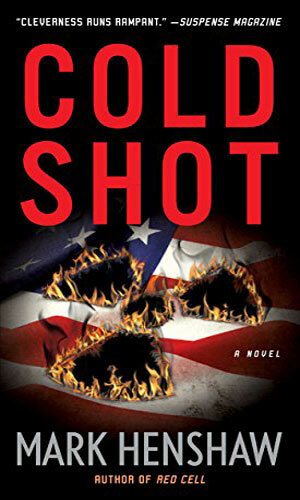 I know I have a winner when, finishing the first book, I immediately grabbed (okay, downloaded) the next one. It maintained my fascination and enjoyment so well that when it was done, on to the third I went. Then the fourth. Then .... oh, please let there be a fifth soon! One thing I especially loved about the series was, even though these two main characters were not supposed to be field agents anymore, they invariably get thrown into the thick of things. It might be argued that that is unrealistic and that they way they survive is a tad unlikely, but not having been an agent myself and knowing the author was, I DIDN'T CARE! 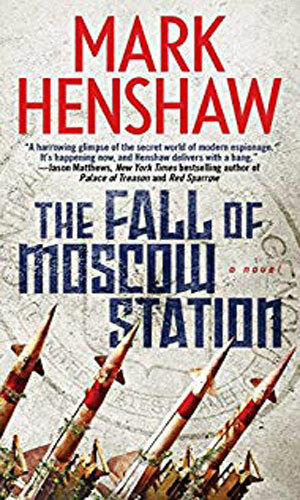 The spy craft he talks about is so well described and makes so much sense that I found myself looking over my shoulder a time or two (I know, bad mistake for an agent) but he made me feel like I was there and that is the mark of a great writer.